Home /Knowledge Base /General Credit Repair Business Questions /Which dispute letter do I choose? Always start in Wizard 3 and always start with a Round 1 letter, which is sent directly to credit bureaus. This letter is always the same, so you don’t need to worry about it. Just use the Default Round 1 Letter in the Credit Wizard for a quick send that will get your client’s credit repair started (along with your revenue stream). For Round 2 (and higher): there are over 100 letters you can choose from. If you read through them in the library, you will start to find your favorites. Which letter to send for Round 2, 3, 4 and higher depends on the client’s particular situation and on how the credit bureaus respond to the Round 1 letter. The best way I’ve found to get up to speed with the nuances of which letters to send where is to take a class or read a book on credit repair. Our favorite credit repair training courses and books are listed at American Credit Repair Academy. You and your staff will learn everything you need. There are classes and books to fit every budget and some of the classes will give you a certificate to put on the wall. Ya gotta love that! Can the letters be modified? Yes, you can modify all the master letter templates in the Library, but you may want to hold off on that until you really know your way around the software. Modifying the letters will not make them any more successful. They are intentionally simple, and simple is best. Adding legalese to them is not recommended because then the letters won’t seem like they’re coming from your client anymore, and that’s the whole point. Make sense? Can a letter be modified just for one client? Yes, when you’re working in Credit Wizard #3, the very last step is the Letter Editor. In that page, you can type any last minute text to customize your letter on the fly (before you save and print). 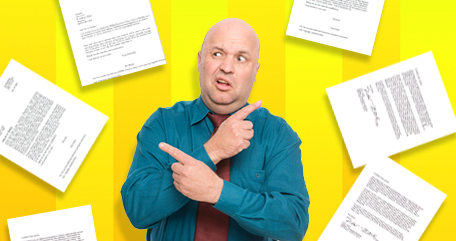 How do i stop “Credit Repair Cloud” or your web address from printing on my letters?